"There are no such words", a work in progress. Friday November 3rd, The Mill Arts Centre, Banbury. Sunday July 10th, , Surrey. Matinee and evening performances. 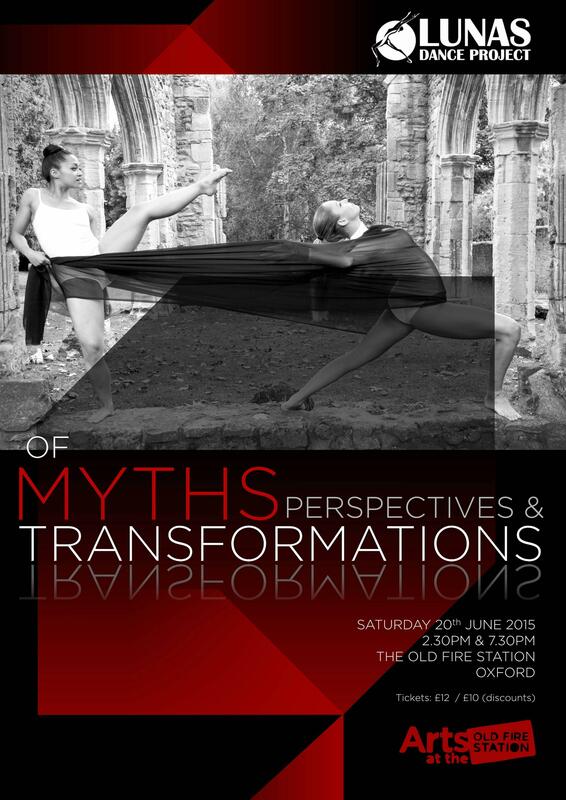 "Of myths perspectives and transformations"
OF MYTHS, PERSPECTIVES & TRANSFORMATIONS explores the transformative effects of emotional change: desire and resistance, and all the difficulties a new path brings. Inspired by Franz Kafka’s The Metamorphosis and Gabriel Garcia Marquez’s The Handsomest Drowned Man in the World, Ellie Aldegheri revisits choices that lead to personal transformations. Pitt Fest: Day, 6 Sept, 11.00-17.00. Inspired by St Augustine’s quote “What then is time? If no one asks me, I know what it is. If I wish to explain to those who ask, I do not know.” and Borges’ quote on time, “Time is the substance I am made of, time is a river which sweeps me along, but I am the river. It is a tiger which destroys me, but I am the tiger. It is the fire that consumes me, but I am the fire.” Artistic director and choreographer, E. Aldegheri, creates this personal work through technical connected and flexible movements, where the audience is taken to a journey of sensations and a shared sense of experience finding meaning when words cannot be found. Join us on the City Centre streets for a series of impressive outdoor dance performances to launch this year’s festival in style. 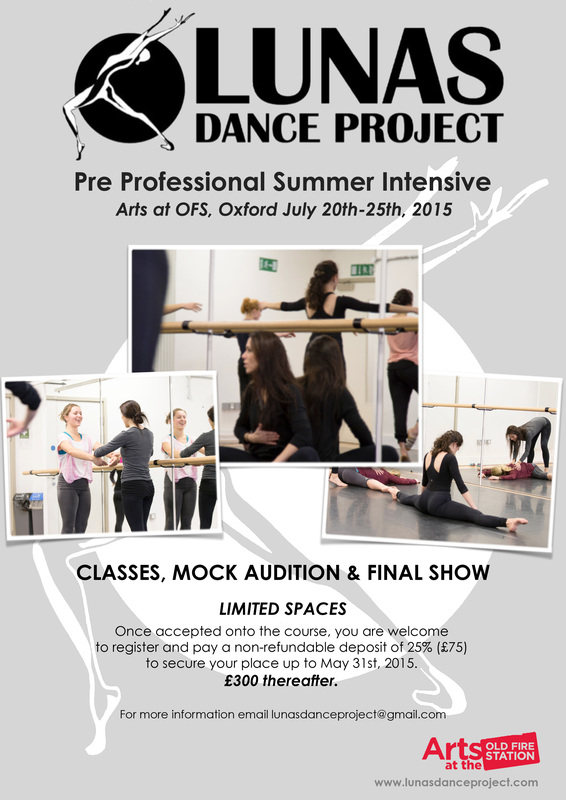 Chance to see us dancing up close and personal! 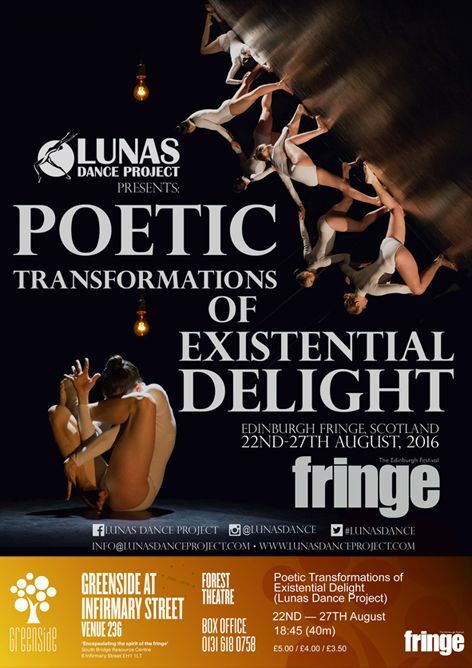 Lunas Dance Project – striking contemporary dance performance with live music. Lunas at Edinburgh Fringe 2014 FUNDRAISER in Oxford. A huge Thank You to Freelance Fabrics, Kidlington for donating some fabric! Solo and Group work in progress.